The NFL Officials dispute brings up an interesting debate. 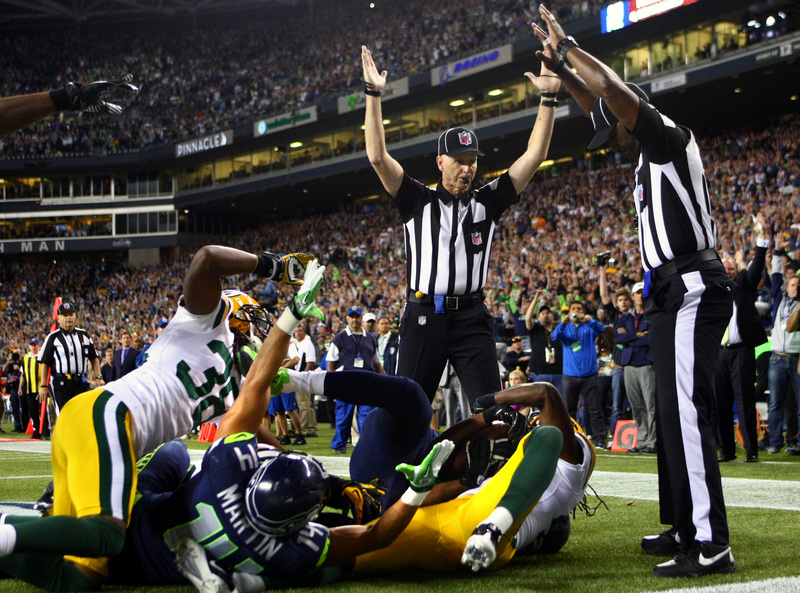 If the regular officials had made the same mistakes and the same bad calls would the furor be the same? Surely there would have been complaints but the fans and sportswriters would leave it at that. We have always been a culture of complaint and the respect for authority has been diminished significantly since the 1960’s. Do you remember (only a few of you will) the famous quote Jack Weinberg uttered? It became one of the most memorable expressions of the turbulent 1960s era – during the height of the Free Speech Movement at UC Berkeley: “Don’t trust anyone over thirty.” He recently turned sixty. The changes that have taken place were magnified by the unprecedented size of the young generation during the 1960s, which gave it the power and inclination to rebel against societal norms, reflected in songs like “My Generation” by The Who and “The Times They Are a-Changin'” by Bob Dylan. Is there anyone to respect? In 1 Corinthians 9:14 Paul urges, “In the same way, the Lord ordered that those who preach the Good News should be supported by those who benefit from it.” Respect and vilification may be close relatives. I would say that society now pays NFL Officials over $200,000.00 for how many games? We may not be killing Christians by lions in stadiums but we are entertaining ourselves into the poor house. We value an NFL Official more than our own superintendent of schools. My point is really about respect for those who make the greatest impact on our lives. We often will pay large amounts of money to be entertained but want other services that really impact our well being for free – it makes no sense. Think about what you value today – what is really worthwhile for your wellbeing and growth. Then thank those who have made your life better – a teacher, a mentor, a preacher, a friend, a boss, a coach, an aunt, an uncle, a grandparent or parents and say thank you to them. Not just, “Hey, thanks,” but tell them why your life is better because of them. They may not have been paid what they are worth but your words can be better than a portfolio full of money. This entry was posted in Coach's Blog, denny meyer, life coach, Sonrise Coach, Spiritual Coach - Denny Meyer, spiritual coaching and tagged denny meyer, spiritual coach denny meyer, spiritual coaching. Bookmark the permalink.